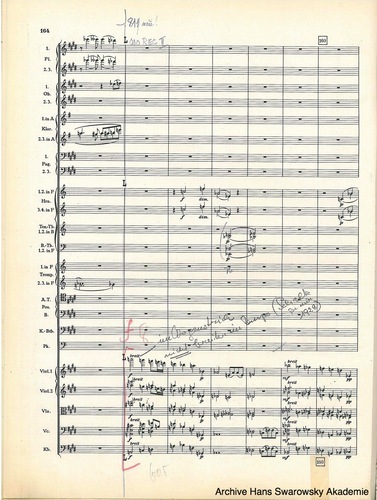 a number of performances of this symphony over the years. 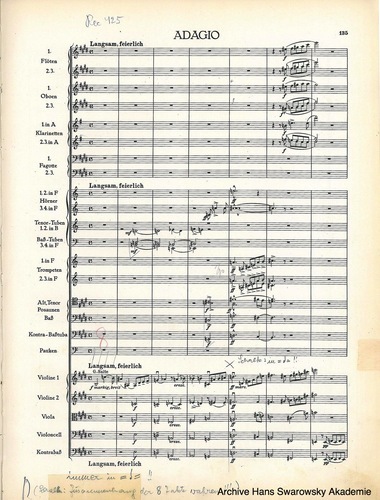 He conducted the piece for the first time in Stuttgart in 1928, having studied it with Franz Schalk who was a guest conductor in Stuttgart at the time. 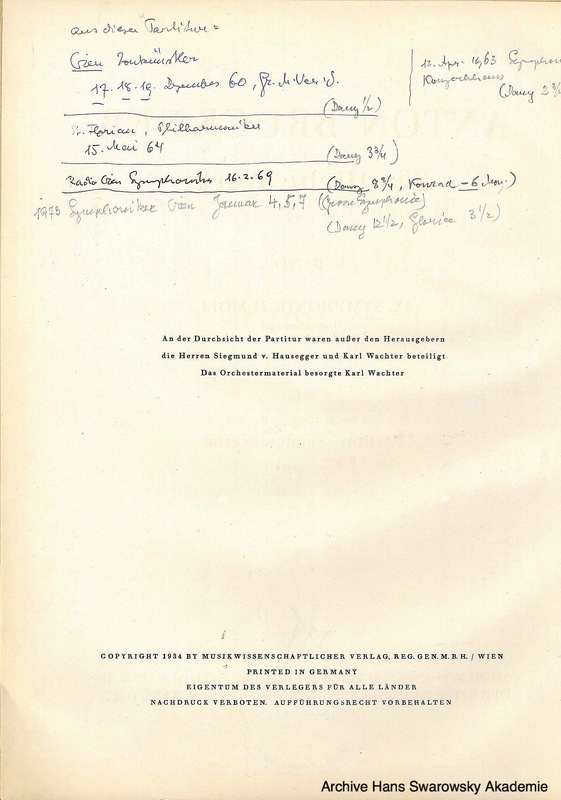 In 1929, Swarowsky performed the symphony on two pianos from Grunsky's piano reduction. 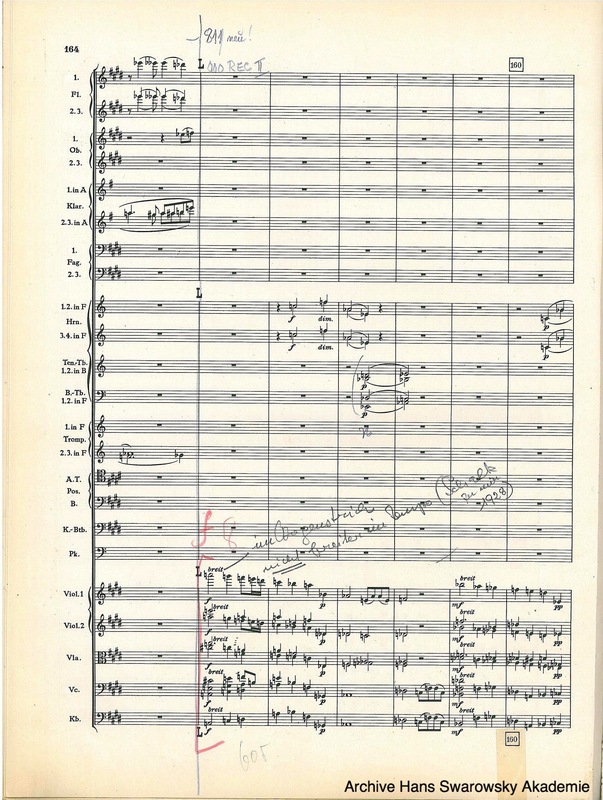 Swarowsky notes in that context that the Haas edition was still unknown at that point. Swarowsky notes a sarcastic conversation between Schalk and Grunsky (nicknamed 'Grinskuh' in) where the Haas edition is mentioned for the first time. 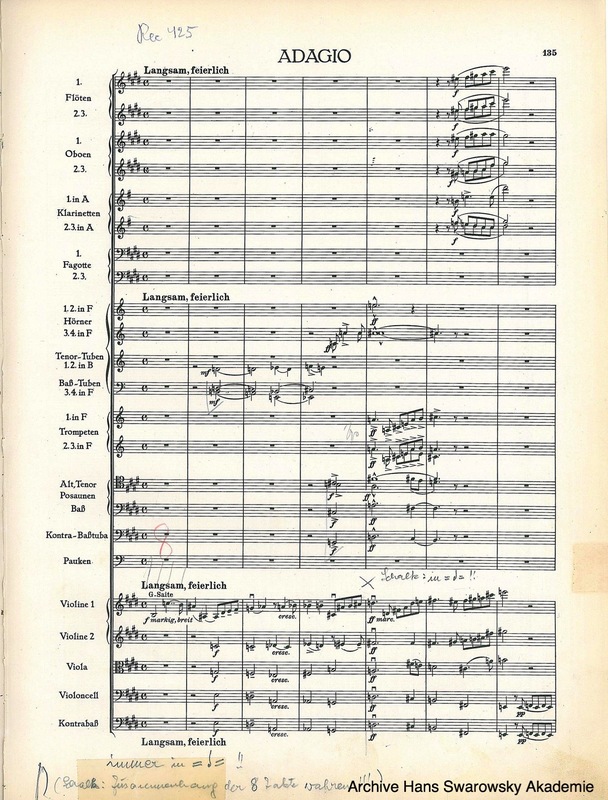 Swarowsky has analysed the symphony with Robert Haas, Alfred Orel (noting in brackets his 'deepest understanding') and Walter Abendroth in Vienna (1935) and Berlin (1936). Conversations with Friedrich Eckstein 1916-17 and 1917-1921. 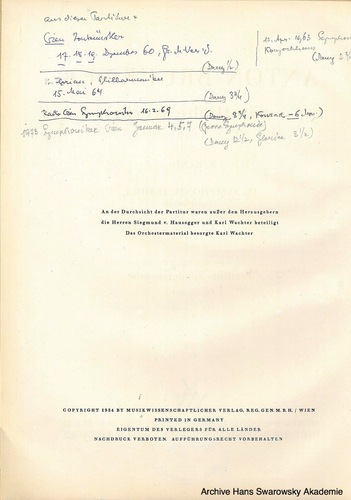 A complete analysis of the symphony with Anton von Webern in Mödling (Herrengasse) in 1924. 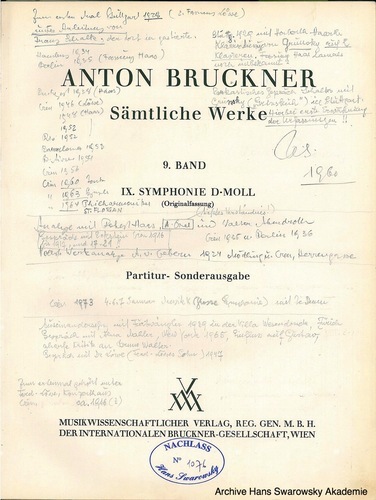 A conflict with Furtwängler at Villa Wesendonck (Zürich, 1936), and conversations with Alma Mahler in New York (1965) discussing Bruckner's influence on Gustav Mahler and a strong critizism of Bruno Walter. Conversations with Dr Löwe (the son of Ferdinand Löwe in 1947. Swarowsky heard the symphony for the first time at the Vienna Konzerthaus, conducted by Löwe around 1916. On the second page, Swarowsky continues to list his performances of Bruckner's 9th symphony, each time also marking the age of his daughters Daniela and Gloria, at that point being 1/2, 3 3/4 etc. years old.